Unfortunately, that's usually easier said than done for most people. November and December, often prime times to make beneficial tax moves, are filled with the chaos, stress and rush to get everything completed for the holidays. Most people are attempting to get all of their cooking, shopping and wrapping done only to go straight into New Year's celebrations, which means thoughts of finalizing your 2016 taxes often fall to the wayside. While it's true that many of the deadlines for some of your best tax moves have passed, the official tax deadline for filing your return is still a few months away and not all is lost. If you're still hoping to benefit your taxes, consider utilizing these five tax moves before finishing your return. Taxes may seem like they're far away and you may feel like you have plenty of time to get things in order. Although April is a couple of months away, those months have a tendency to fly by quickly, and the worst thing you can do is be caught April 1st scrambling to get your taxes in order and filled out. Take the opportunity to get ahead of the game and get organized now. 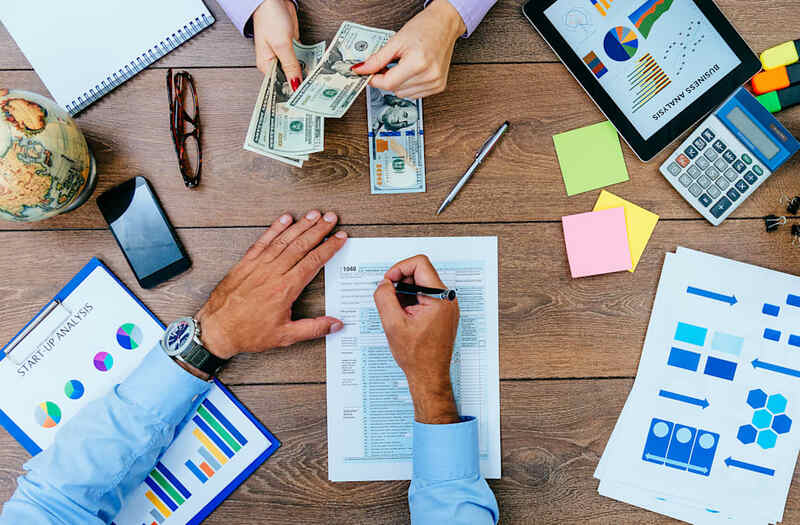 Gather together all the documents you'll need for your taxes, from business expenses to charitable receipts to account statements, you'll need all the financial documents from the past year, which that in itself can take a while to gather. With everything at your disposal, you'll be able to file your tax return easily and quickly. Although many of your savings accounts, as well as your 401(k), should have been maxed out contribution-wise by now, there's still hope for your taxes in the form of your IRA. Thankfully, you have until April 15th to contribute the full amount to your IRA. By doing so, you'll not only keep steadily building your nest egg or allow yourself to budget for other, important expenses, but you'll ultimately give yourself a great tax deduction as well. If you're self-employed or have any non-taxed income, such as if you do freelance work or have other side jobs, January is the time to pay estimated quarterly taxes on that income. Estimate any money you've made from September to December in order to pay your quarterly taxes. Normally, you'd have to file any quarterly taxes by January 15th, however, since the 15th is on a weekend and Monday is Dr. Martin Luther King Jr. day, this year you have until January 17th to get any payments in. But don't forget, this isn't the only time you have to make estimated tax payments. Estimated tax payments on non-taxed income are due every quarter throughout the year. April 15th is the absolute deadline for your taxes. But if you're ready, why give yourself the headache of waiting until the last minute? The IRS will start processing tax returns, both electronically and hard copy, on January 23rd. Furthermore, if you make less than $64,000, no matter your filing status, you also have the option of filing for free. And if you do choose to utilize this option, which can be found on the IRS's website, you can file even sooner, since those eligible for the free file form can begin using it January 13th. All that being said, why wait until the last minute to get your return in? Not only will you be happy you can worry about other things in the coming months, but you'll also keep yourself from rushing to get things done and ergo, could keep yourself from making any mistakes. One tax season a year can definitely seem like more than enough. However, they do come around sooner than you think and certain tax moves have deadlines and time periods you should pay attention to throughout the year. Hence why, even though it may seem premature to prepare for 2017's taxes, it's a good idea to start planning ahead now. One great way to plan for next year is to check your withholdings. If you find yourself owing in 2016, you can increase your withholdings in 2017 to ensure you don't have to pay next year. After all, it's much better to get a small refund at the end of the tax year than to have to pay because you didn't hold enough income back. Moreover, if you found yourself sifting through piles of documents in order to get your taxes in order, use this as an opportunity to set up a proper file now to put any tax-relevant documents in throughout the year. Come next tax season, you'll know exactly where to go. Everyone feels and sees the weight of taxes throughout the year. It's one of those obligations as a citizen that everyone knows is there and looming, but many choose to forget for the majority of the calendar year. 5 Tax Moves You Can Still Make in January 2017 is a post originally published on: Everything Finance - Everything Finance - Its all about Money! Related: Who doesn't like lower taxes?